The term “voyage” is usually associated with exciting travels, trips, or sailing. 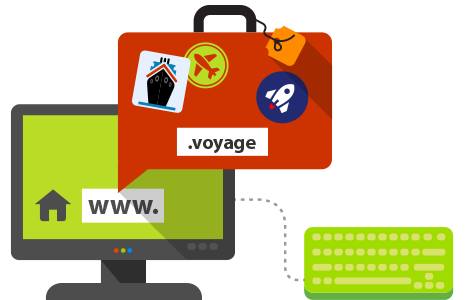 Begin your exciting journey in the Internet world with the new .voyage domain. If your business is related to tourism, travels, vacations, or if you like traveling and visiting unique places and sharing your experience afterward in your own blog, reserve your unique .voyage domain name. It will set you apart from everyone else and will express clearly what you have to share and offer to your visitors.